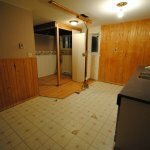 Below are before and after pictures of a house that has a sad before story. 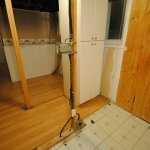 The previous tenants decided they wanted an open-concept living space, so they tore down walls leaving the electrical wires and studs exposed!! Did I mention these tenants forgot to ask their landlord if they could tear down walls? The urine stains on the basement carpet was another sight. (I assume the dog did it, but I’m not sure.) Obviously the previous owner was upset… so they contacted us when they found out we buy ugly houses fast. We bought the house as is and took the stress off of the seller. Now the house looks beautiful and the neighbours love us for improving the neighbourhood. 1) Avoid stress – There’s a lot of stress involved with owning an ugly house. Doing renovations and paying for renovations can be very stressful. 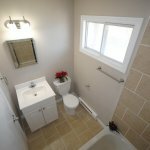 Renovations usually cost more than you expect. Contractors can often be difficult to deal with (as can their clients!) and some bad apples are eager to find extra items to charge you for. 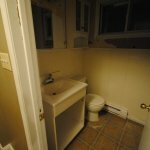 Listing an ugly house publicly with a realtor can be very embarrassing. Do you want dozens of people strolling through your house and making their comments? Do you want your nosy neighbours to browse through your house during an open house? Have the kids or pets taken over the house? Are you unable to keep up with maintenance? Living in a house that is out of control can have a negative effect on your health both physically and mentally. Maybe it’s time to just get out of a bad situation. 2) Facing Foreclosure or Power of Sale – Your bank or lender will surprise you with how much they spend when they take possession of your house. We buy houses fast and put a lot more money in the seller’s pocket. If a bank sells a house they add on SO MANY FEES YOU WON’T BELIEVE IT! Penalties, fees, interest, lawyer’s fees, Sheriff fees, expensive property management, realtor fees. The bills add up quickly to take away the equity in your house. If you know someone who has received notice that a sheriff will be changing their locks and will take possession of their house, then DO NOT HESITATE to contact us. Send us information about the house and we’ll get you an offer fast. It’s very hard to sell your house when you are locked out and no one is allowed to go inside. 3) Tired of being a landlord – Have you ever regretted renting your property to a bad tenant? Because some tenants are just rough on houses. They let their pets and children beat up the house. 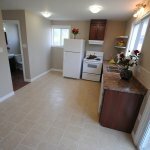 Other tenants will decide they want to take out a wall in your house!… take a look at the pictures here to prove that. There are a lot of wonderful tenants out there and most of us have been wonderful tenants at various stages of our lives. I know I have! But there comes a point when you don’t want the stresses of a terrible tenant. We buy houses fast even when you have a terrible tenant in your house. 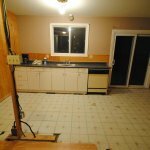 After Renos – Walls Are Back Up! I trust you enjoyed the pictures. 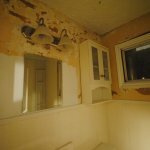 We buy ugly houses and if you’re interested in selling a house as is, then give us a call at (647) 848-7790 or contact us here through our website.